My grad school life is crazy right now, y'all. The work in my classes is picking up, I'm defending my thesis in one month (!! 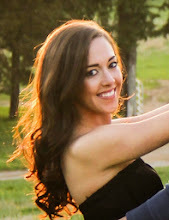 ), and I'm constantly trying to juggle research, writing, lab work, clinical work, classwork...plus the rest of my life, like exercising, cooking, spending time with people I care about, and now blogging! Oh, and watching American Idol and the new Kevin Bacon show. Oops, I should have kept that part a secret shouldn't I have? Basically...it's a lot. 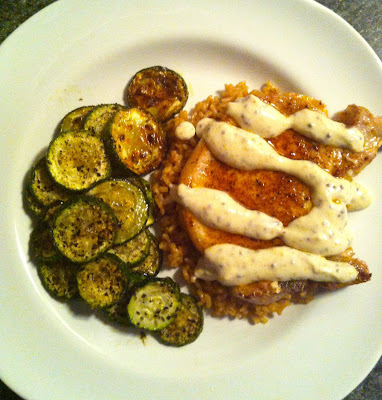 So I'm making weeknight meals that are FAST, easy, healthy, and delicious. Must be all of the above. I'm also prepping all of my lunches ahead of time based on an equation of protein (chicken, shrimp, or fish usually) + vegetables (broccoli, spinach, zucchini, etc) + grain (brown rice or sweet potato). Taking a few minutes to prep some meat on Sunday (such as my spiced chicken) and then combining with sides (and some Sriracha of course) in tupperware the night before saves time and money during the week. Also leaves no excuses to go buy fast food or packaged snacks during the day! During the week, I like to make dinners that take under 30 minutes to make. 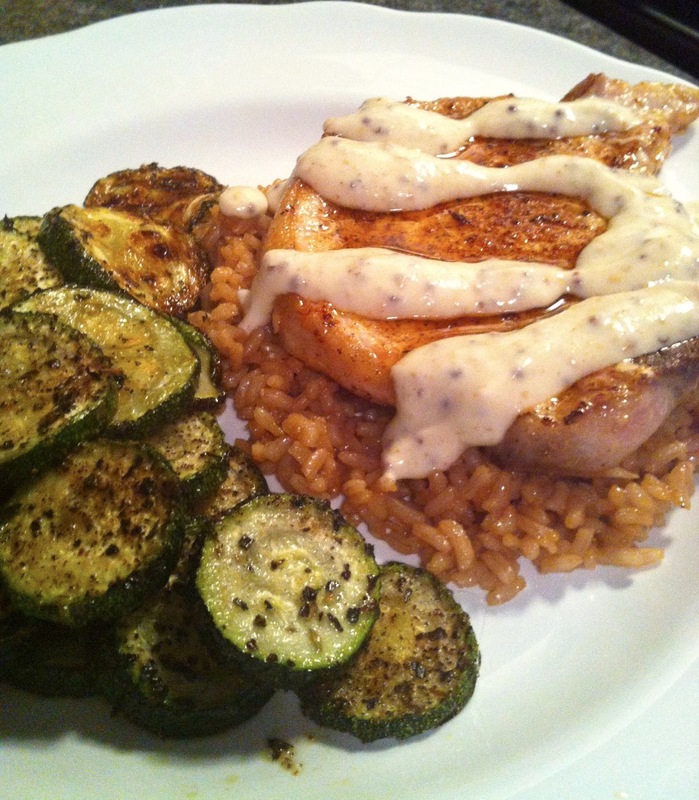 These pork chops definitely fit the bill - they are done in 10 minutes! Yes, 10 minutes. Saute some veggies and microwave a bag of brown rice -- I use Uncle Ben's 90 second brown rice when I'm in a hurry -- and you can prepare AND eat dinner in under half an hour. Plus, pork chops are pretty cheap and you can usually find them on sale. That is called success in grad student world. They are topped with a healthy (made with greek yogurt!) mustard-y cream sauce that's really flavorful and takes 60 seconds to whip up. I like pork chops that are bone-in because they're more flavorful, but boneless would work fine too. Also, I've made this recipe with both thin-sliced pork chops and thicker cuts... basically, whatever is on sale. I've put cooking directions below for both options. First, mix your combo of spices. I use garlic powder, onion powder, chile powder, paprika, cajun seasoning, salt and pepper. I've also added a tbsp of brown sugar before... that adds a nice sweet/salty combo. 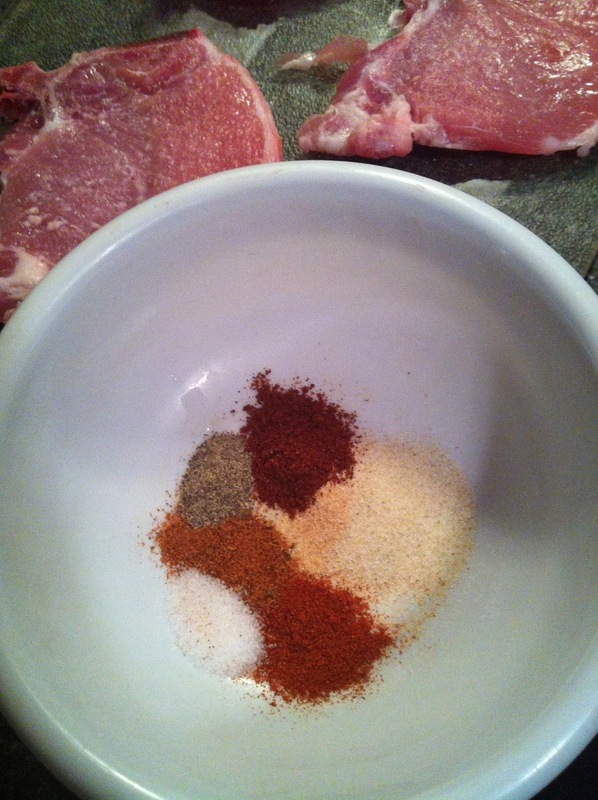 Mix the spice mixture and rub it all over both sides of all of the pork chops. I used thin cut chops this time, but this is also great with inch-thick cuts. Again, bone in = flavor. Heat 2 tbsp of olive oil and 1 tbsp of butter in a cast-iron skillet over medium heat. 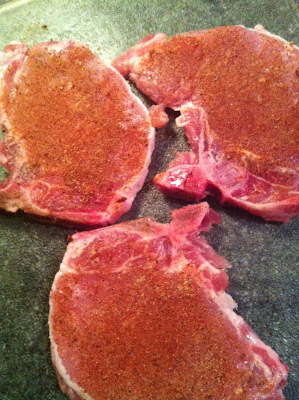 Let get very hot (i.e., let heat for 5 minutes or so), then add pork chops. Cook for about 2-2.5 mins/side for thin chops, and about 4 mins/side for thicker cuts, or until browned on the outside and cooked through. It's really important not to overcook pork chops! They can get very... chewy. And tough. Not good. Meanwhile, prepare your 60-second mustard cream sauce. 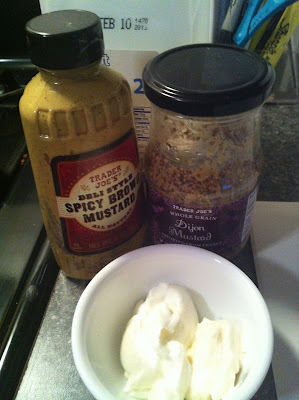 All it takes is greek yogurt, a bit of mayo, some spicy brown mustard as well as whole grain dijon, and a little bit of milk. Pop the sauce in the microwave for 30 seconds. Plate your pork chops. Pour sauce over chops. And done! 10 minutes later. -Combine all spices in a bowl. Rub all over both sides of pork chops. -Heat olive oil and butter over medium heat in a cast-iron skillet. Let get very hot. Add pork chops and cook for 2-2.5 mins/side for thin chops and about 4 mins/side for thick chops, until slightly browned and cooked through. 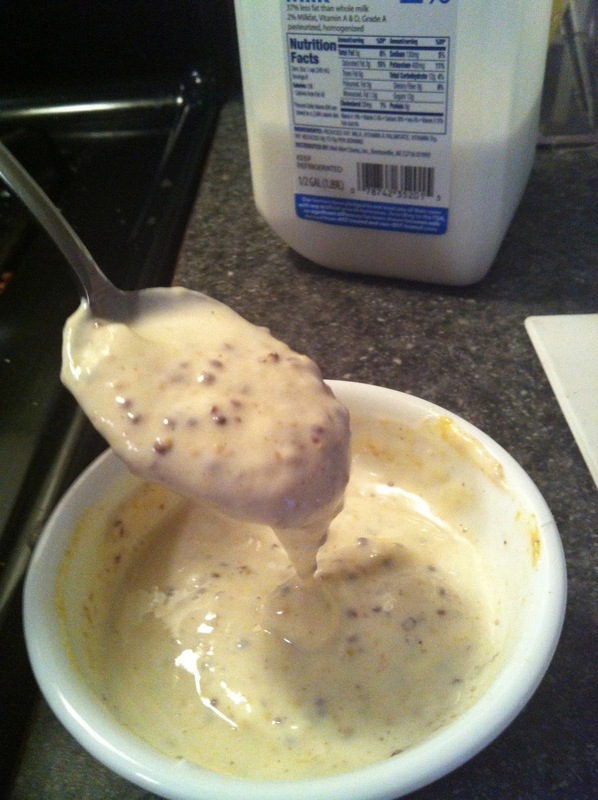 -Meanwhile, prepare mustard sauce: Mix mayo, yogurt, and mustards. Whisk in 2-4 tablespoons of milk until desired consistency is reached. Microwave for 30 seconds. 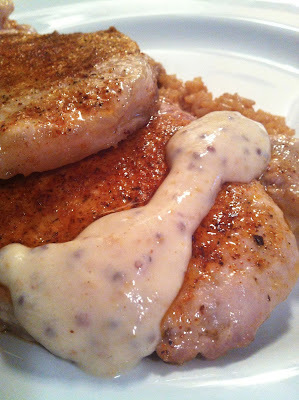 -Plate pork chops and top with mustard sauce. hmmm I'm embarrassed to admit it, but I've NEVER eaten pork chops. ever. They scare me for some reason. Maybe you should have me over to dinner to try them before I attempt them ;) It looks really yummy!